CX Journey™: Are Your Customer Relationships Built on Trust? "The brand promise sets expectations, and expectations are aligned with trust: Predictability begets trust, and trust begets loyalty." To that statement, I'd like to add consistency; but then consistency really leads to predictability. The bottom line, though, is that trust is about keeping the promises you make. Make a genuine promise, and deliver on it every day. Trust. If you look up "trust" on dictionary.com, it is defined as: "reliance on the integrity, strength, ability, surety, etc. of a person or thing; confidence; confident expectation of something; hope; to rely upon or place confidence in someone or something; to believe." OK, I'll stop there; we get it. You can see how all of that ties to the connection that a customer has with a brand/company. And quite honestly, I'd improve the definition to make it a bit stronger that that. 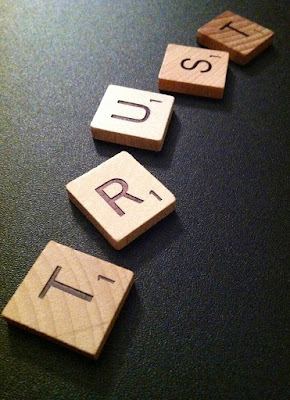 We've learned in the CX world that "trust" encompasses a lot of things. 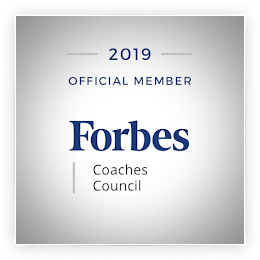 "The type of company customers are passionately loyal about doing business with is a company they can trust to always act in their best interest - without exception." "Putting a twist on the 'customer for life' concept, we believe customers want to find firms they trust enough to qualify as 'suppliers for life' - the ultimate test of customer loyalty. If, for some reason, they lost that supplier, they would feel a sense of loss." That's pretty powerful. The customer feels a sense of loss! I recall reading that and immediately incorporating a relevant question into my clients' surveys. It doesn't work for every industry, but what if you asked your customers: "If we didn't exist, would you feel a sense of loss?" What kind of relationship or connection do you have with your customers? And by the way, this is very relevant to employees, too. How committed are your employees to you/your company? Is there such trust there that, if broken, it would create a sense of loss in your employees? Thought provoking. The article goes on to define "total trust" as: "going beyond the realm of customer satisfaction and delight. It is the belief, confidence, and faith that a company and its people will be fair, reliable, competent, and ethical in all dealings. Total trust is the belief that a company and its people would never take opportunistic advantage of customer vulnerabilities." A recent example that comes to mind is Sony raising the prices on Whitney Houston's songs right after her death. Hmmm... after that, how many people trust Sony to do the right thing rather than to be opportunistic? There are a ton of recent examples; I'm sure you can come up with one or two without thinking too long and hard about it. I think they all fall under what the authors call a "trust defect." A trust defect is "anything that detracts from the trust a customer feels for an organization, its people, and its products. When a customer who has faith in a company makes a purchase and later has reason to regret making that purchase, one or more trust defects have occurred." How do you think your customers would answer these questions? The responses would be eye opening, I'm sure! Do you feel we care more about you or the money in your wallet? To what extent would you feel a sense of loss if we went out of business? If we were able to lower our costs, do you think we would build your trust by sharing the savings with you - or do you think we would use the savings solely to boost our profits? To what extent do you think we are sincerely concerned about your complaints? If we thought of a way to raise prices without you noticing, how inclined do you think we would be to do so? If we make a mistake, do we apologize and make it right? Do we treat you the way that you want to be treated? Have we delivered on our brand promise? And have we done so consistently? Do you believe that we put your best interests above our own? You might have some other questions to add to the list. I'd love to hear them. I can say yes.Building a customer trust in not really hard.You just need to give them good customer service and satisfaction. Thank you for reading and for commenting. It seems like it wouldn't be that difficult... but it does take a lot to build that trust, which can be lost much more easily than it can be gained/earned. Noreen, thank you for reading my blog and for posting a comment. Appreciate your thoughts!